Wilfrid Laurier University was recently included in The Princeton Review Guide to 361 Green Colleges. The book features the most environmental and eco-friendly colleges in North America. One of only ten Canadian institutions included in the review, the recognition demonstrates Laurier’s dedication to the environment and sustainability on campus. Claire Bennett, manager of Laurier’s Sustainability Office, said the sustainability office is particularly proud of this specific recognition as the report was completely unsolicited by the Sustainability Office. “We were not nominated, no one called for information. This was a very well-respected American group who did their own research and found us and included us in their report. We had no involvement in terms of trying to promote ourselves,” she said. Since the Laurier Sustainability Office was established in January 2010, the office has worked to show the business side and potential of sustainability in order to ensure major players at the university were fully on board. “[Sustainability] became something that absolutely provides value to the university, not only in terms of fantastic recognition, but also in terms of financial savings and our ability to be much more compliant to legislation in relation to green house emissions and waste reduction,” said Bennett. Participation from all stakeholders, including student groups, community partners and senior administrative staff has been an essential aspect to the Sustainability Office’s success throughout the past few years. “We have fantastic organizations within the Waterloo Region that we have worked with who are really putting Waterloo Region on the map. Without them we wouldn’t be able to be so successful,” said Bennett. The Sustainability Office’s biggest strengths are currently in waste and energy management. Laurier has implemented an industry leading waste management program — not only have other universities modelled their program similarly, but private sector employees have followed suit as well. A successful program which the sustainability office hosted last year was the Residence Move-Out Program. “When students move out every year there’s an enormous amount of waste that are items that can be used again,” said Bennett. Sustainability Office also works with Laurier Food Bank and Textbook for Change to collect items such as non-perishable food items, furniture, re-usable clothing and more from students. The program has allowed Laurier to divert thousands of pounds of waste. In regards to energy management, Laurier as recently embarked on a major initiative across all of its campuses in order to reduce energy consumption through very innovative and progressive means. “We’re looking into applications such as power storage and renewable technology. Once this is implemented full, we’re going to be considered one of the leaders in Canada. There’s no where else in Canada that has a fully functioning micro-grid application,” explained Bennett. 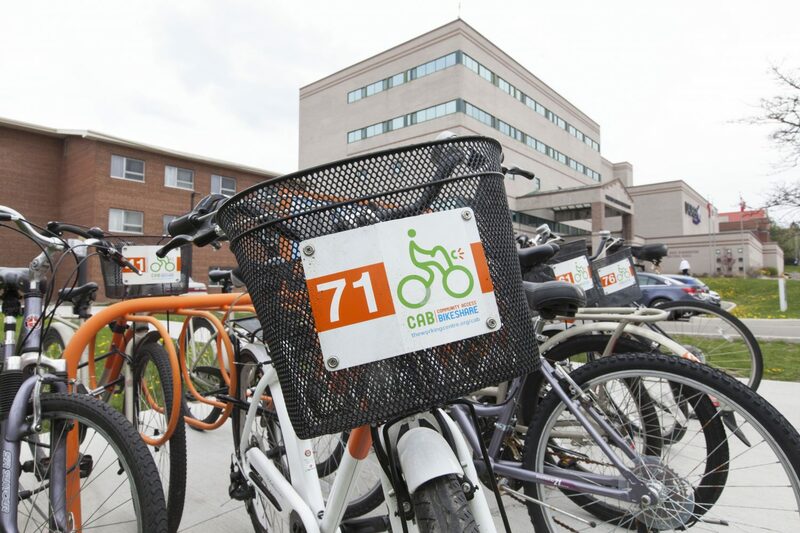 Laurier’s sustainability was also recognized for its bike share and bike storage spaces, along with its offerings of essentially every alternate mode of transportation. Additionally, the Sustainability Office’s partnership with Young City Growers has allowed them to build an inspiring community garden.